Canon announced the PowerShot G1 X II last month. This is my favorite PowerShot camera in the lineup and now the company may be planning to introduce the PowerShot G17 some time next quarter. 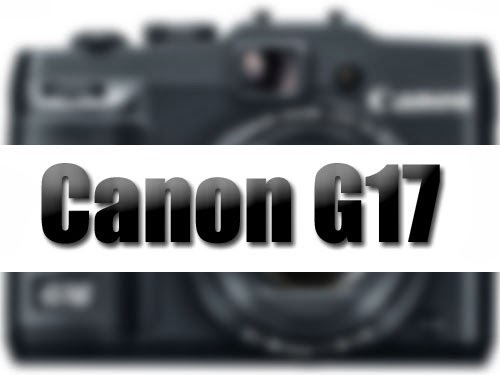 The rumored specs for the G17 is laudable but the PowerShot G16 was released only about 6 months ago. Is it really necessary to bring out another 'new' model? If true, this type of rapid/vapid product announcements only bring on customer fatigue and marginalize their marketing efforts. The G16 has only minimal improvements over its predecessor. Was its release really necessary? 2014 is suppose to be Canon's comeback year after a turbulent 2013. Canon needs to rethink its product strategy and concentrate on its strength. They are way behind in their meaningful product introduction - the EOS-7D Mk II camera and EF 100-400mm f/4-5.6L IS II lens, just to name a couple. The photography world does not need a G17 camera so soon. any indication that there really will be a G17? i love my g15 but would immediately buy a g17 with a 1" sensor. for my purposes--which are heavily oriented to natural/low light shooting of people--my g15 is the best of the compacts available right now. certainly with a 1" sensor it would be even better.